Iron Sport Gym - Strongman And Olympic Weight Lifting Equipment Any Time You Need It! Congratulations Iron Sport Gym! 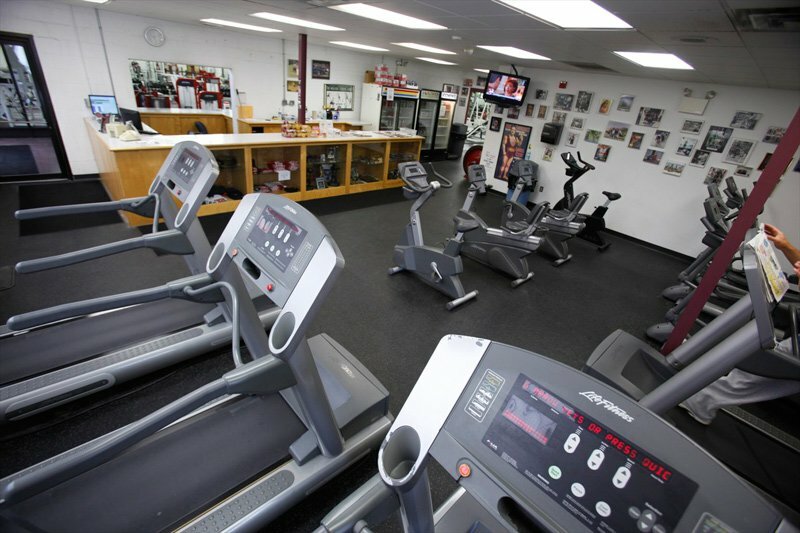 We are proud to announce Iron Sport Gym as our Gym of the Month! We only award the best of the best across the country! Find out how they got started, services offered and much more right here. 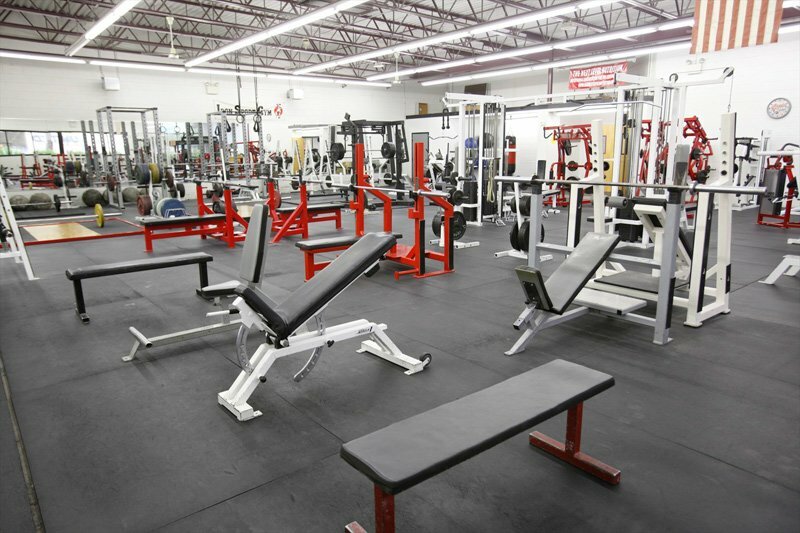 Its every gym rat&apos;s dream to open their own gym isn&apos;t it? I have been a gym rat since I was just a kid. 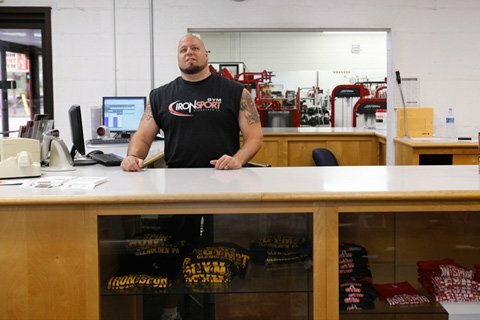 We opened up our first Key Club place in 1995 because we wanted to have a place where we and the lifters we knew could train without being hassled. It kind of took off and we ended having so many people wanting to join in on this little place that we took the plunge on building a fully staffed, 7200 sq ft commercial facility that still had the feel of a friendly garage lifters gym. Money . . . and lots of it. We took over this new 7200sq ft place and just did it on a wing and a prayer to tell you the truth. This was no turn key franchise, neither of us had ever worked in a gym before, barely knew what the heck we were doing but we had a lot of help from family and friends, worked long, hard hours and relentlessly promoted it. This gym has been everything to me since it opened. I bleed and would die for this place. This Gym Has Been Everything To Me Since It Opened. I Bleed And Would Die For This Place. 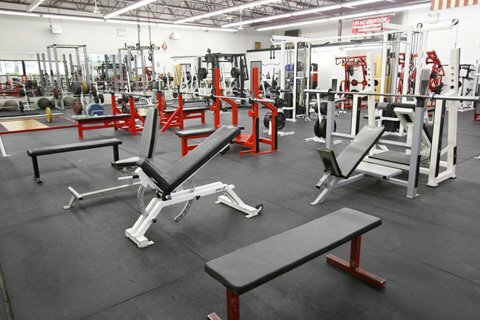 We are a commercial gym but specialize in strength training. Most strength facilities that have the equipment and expertise that we have are expensive, private session only places or garage type clubs with a few lifters. Anybody could join here for a modest monthly fee and have full access and use all of our strongman equipment any time they want. We also do not require contracts or upfront fees of any kind. 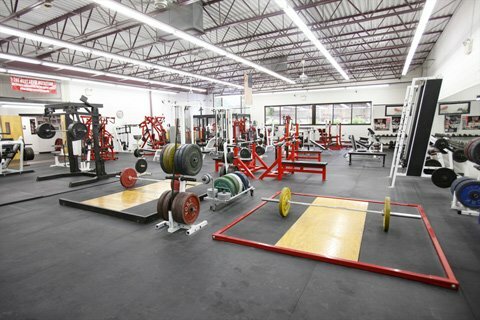 There are a lot of people that seek us out because we are one of the few places that caters to strength training in the Philadelphia area. 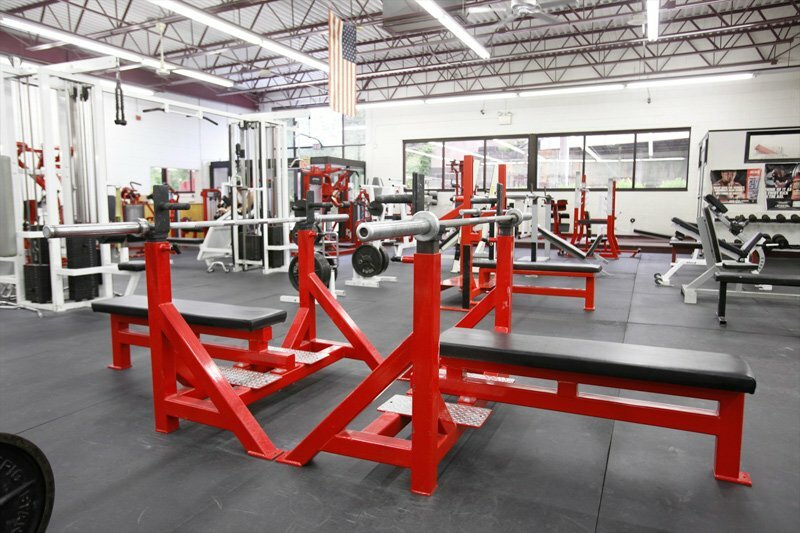 Not many places offer massive power racks, a monolift, Atlas stones, deadlift and other specialty bars, platforms, bumpers, tires, sleds, Elieko bars etc. But some people like us simply because we are a friendly place where they know they are going to get a square deal. There is something to be said for dealing directly with the owner of a business that you plan on patronizing. I do all the training that we do down here. I don&apos;t know if I&apos;m a top trainer, but I&apos;m one of the few guys in my area that you can pay a modest fee to and learn Olympic lifts, strongman training, powerlifting, Scottish Highland games and specialized strength training for most sports. Unlike a lot of trainers I have really walked the walk and competed in these sports all over the world so I coach from experience. I take a simple approach; it&apos;s all based on hard work and I make sure people know that there are no shortcuts or magic tricks involved. It&apos;s not the service I provide or even that the gym itself provides that is special. It&apos;s the service that the older lifters provide to the younger guys who are just coming in. It is a really cool thing when you see a guy who is in here training for a national meet take the time to help out a new lifter, to pass down what he has learned over his years in the gym just out of kindness. 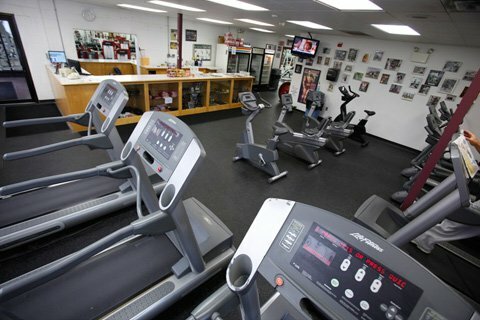 Lots of gyms have smoothie bars, but not every gym has that. Younger Guys Who Are Just Coming In. We&apos;ve had so many good lifters that have been members here. Pro strongmen Walt Gogola got his start here, Reggie Barton, Adam Keep, Doug Kirby, Kevin and Kirk Nowack. USAPL heavyweight powerlifter Jeff Fiss, 220lb Mike Barcelone, 242lb Pat Johnson. We also have a great female master Olympic lifter who is also my wife, Jalaine Ulsh. But we also get so many cool guests who stop in when they are in town, most of the top WWE wrestlers over the past ten years have been in here, as well as a lot of top pro strongmen and highland games athletes. Jose Conseco was even in here a little while back. You never know who&apos;s going to walk through the door. Like any small business owner it&apos;s the time commitment involved. I run the gym all day totally by myself so when I&apos;m here I&apos;m basically stuck here. I can&apos;t leave until my night relief gets here. When I opened this place my two daughters were just little kids and now they are grown women and I pretty much missed it all. Like I said, I bleed for this place. I think the thing now that keeps me going is that they require you to sign binding contracts and I don&apos;t. In the blue collar area that we&apos;re are in, coupled with an uncertain economic climate, people just don&apos;t want to be locked in like that anymore. Sure in the long run they make a lot more money than I do, but I like doing it this way. The other thing is really that I like to think I offer better guidance and training than any of those places. You can&apos;t learn personal training from a book; I have lived, eaten and breathed this stuff for 30 years now. People Just Don&apos;t Want To Be Locked Into Contracts Anymore. I guess it&apos;s purely my passion that carries me through each day. Even when times are tough I try to rise up to the challenge. Like last week when I read in our local paper that yet another chain gym was opening less than two blocks from me, people ask me if I&apos;m worried and I just tell them "F*#% no! I picture myself like Tony Montana during that last stand-off in &apos;Scarface&apos;. Attackers coming from all angles, against impossible odds, out manned and out gunned...was Tony Scared? Hell no, he grabbed every gun he could and charged ahead. So I say to the chain gyms: "SAY HELLO TO MY LITTLE FRIEND!" 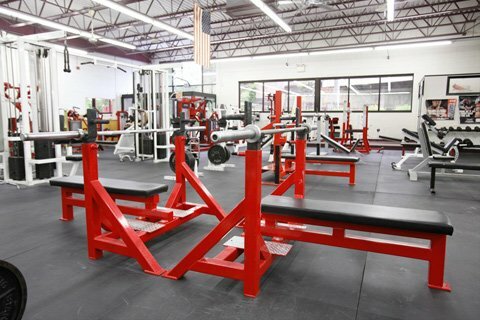 [ Q ] What are some of the specialty strength training equipment you have at the gym? Are Tough I Try To Rise Up To The Challenge.